Here&apos;s where the line between AT and other gear begins to blur. In general, AT skis are lighter and softer flexing than Alpine skis, but many deliver strong downhill performance-although they may feel unstable at high speeds. They&apos;re designed to achieve that elusive combination of light weight, firm hold on hardpack, and enough mass and power to handle variable ungroomed snow. And, amazingly, they do a pretty good job at all of this. There&apos;s no reason you can&apos;t mount up a pair of Alpine boards with AT bindings, but you&apos;ll probably feel the extra weight while climbing. Telemark skis, traditionally a category unto themselves, are crossing over into Alpine touring use and vice versa. In fact, recognizing that skiers are already breaking down the boundaries, next season ski maker Tua will no longer designate its skis as AT or telemark specific. Like their Alpine brethren, AT skis have become shorter and fatter. Tua&apos;s Excalibur Mito ($499) has already received rave reviews during its first season of availability in North America. This wood-core ski features "driving effect," meaning the sidewalls are beveled toward tip and tail, allowing the ski to slice and dice through the gloppiest gunk you&apos;d encounter. The Dynafit TourLite All Terrain Light ($520) combines soft flex and a wood core in one lightweight package. 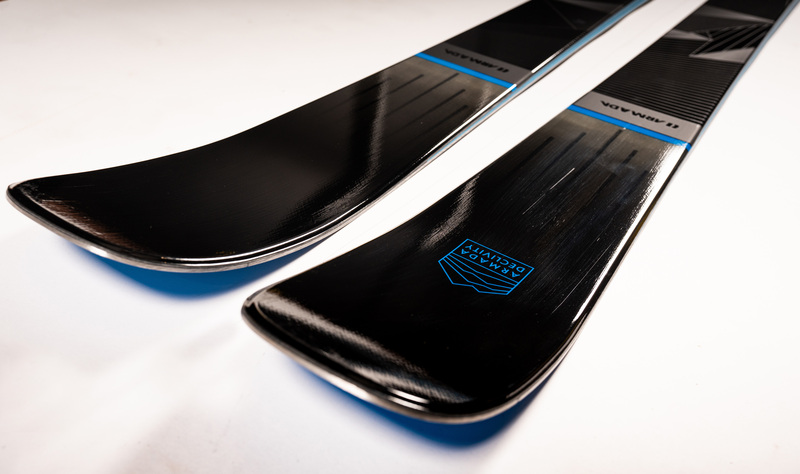 Black Diamond offers the new Purgatory ($369), a wood-core ski with a more traditional sidecut. And don&apos;t overlook your favorite Alpine ski manufacturer-companies offering AT models include Atomic, Dynastar, Fischer, K2, and Völkl.